The 17th Annual Legends of the Past Car Show was hosted by the Noland Road Baptist Church in Independence, Missouri on May 9, 2015. 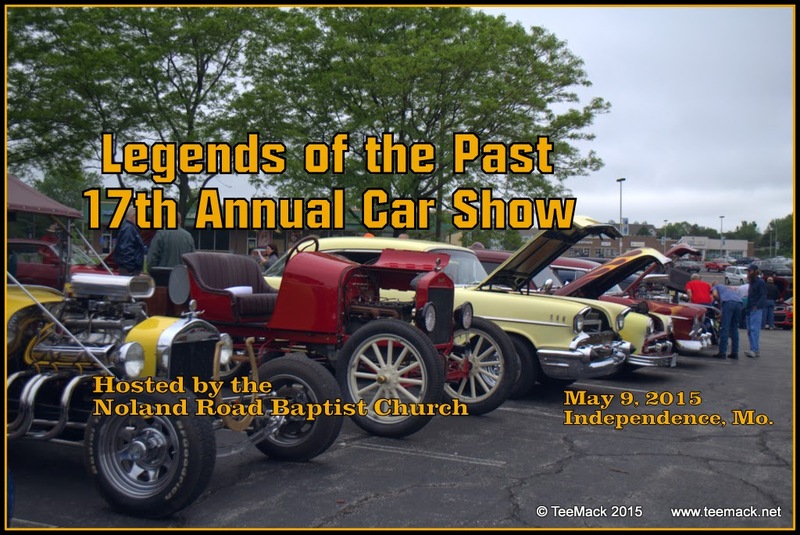 The annual event is hosted by the Men's Ministry of the Noland Road Baptist Church. The event is open to all makes and models of cars and trucks. Even though there was a threat of rain and pretty cloudy all day, there was about 110 vehicles show up for the annual event. Click here to see photos of the event.